One of our family’s favorite ones was the Extreme 360. There are height/weight limits so check out their site for that information. Two people get on a cycle and they pedal as fast as they can and it swings the cycle completely over the bar. 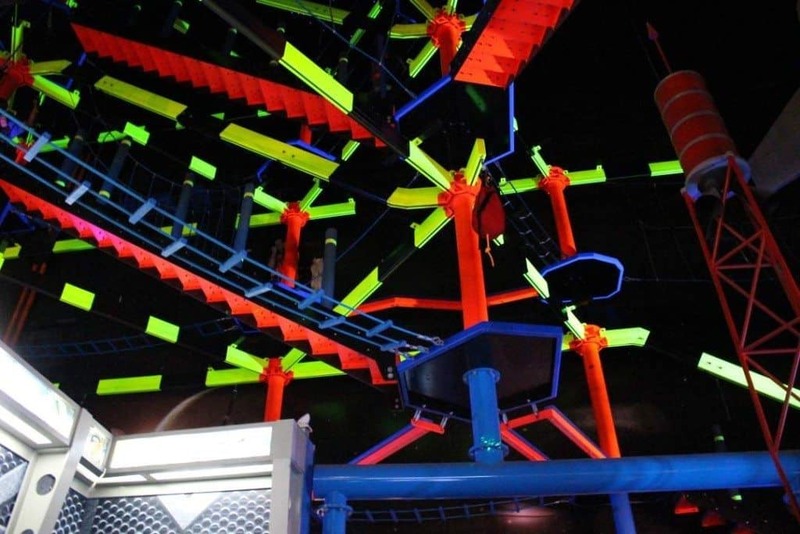 They also really like the glow in the dark ropes course, but sometimes the line can be long. But our all time favorite was the Mindball. The Adventure Science Center has something similar but this one takes it up a couple notches. Two people get on either side of the tube and put the contraption on their foreheads. Inside the tube is a ball that starts off in the middle and the calmer you can make your brain waves the more it will move to the other person’s side. The first person to get it all the way to the end of the other’s side wins. 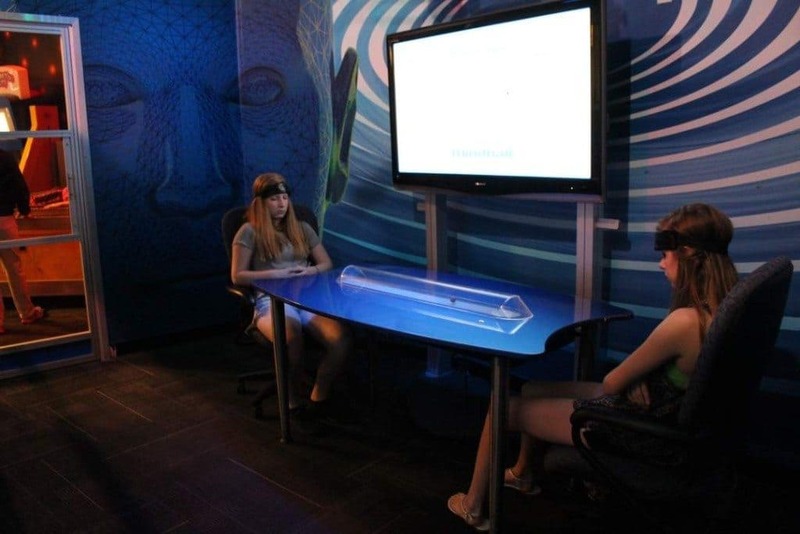 What is really fascinating is they have a screen where you can watch their brain waves and see just how much someone can calm their mind. Thank goodness for us it was a slow day because we played with this a lot. There is a Magic Show daily. If you are interested, be sure to check the show times. We were there earlier in the day and couldn’t make the show later that afternoon. We did get to go through the Magician’s collection of magic memorabilia that gives you an insight of the history of magic. The other thing we did not get to do was the hot hair balloon ride. Unfortunately, the weather wasn’t cooperating, so they weren’t offering it that day. It will only operate when it’s not windy or raining, so you really can’t plan on going until you get there to see if they are open. If your still looking for more fun after you tour all the exhibits, there is a game room and snack bar. 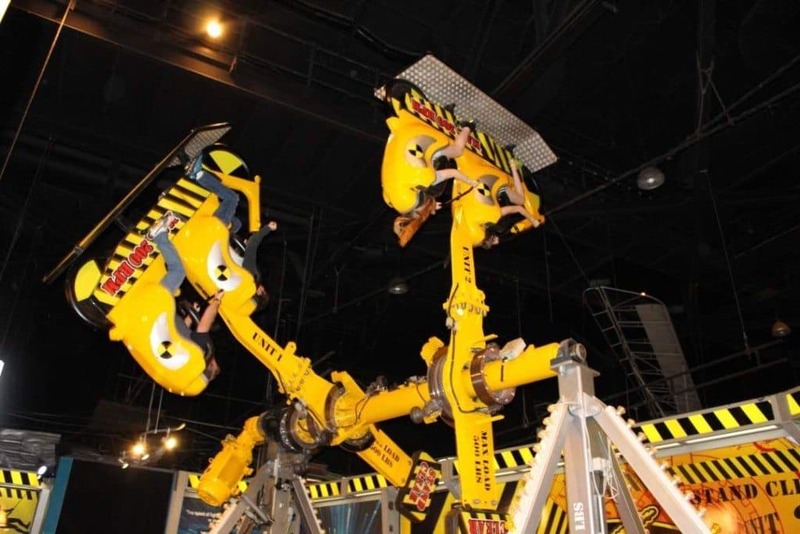 Overall, it’s just a fun experience for both kids and adults!